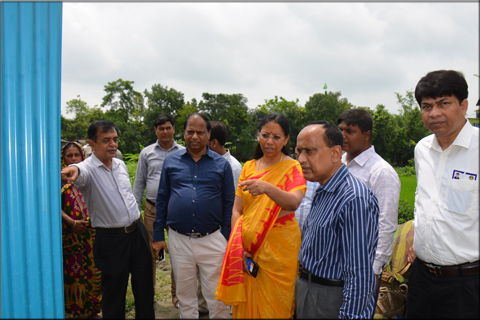 Ms. Aparna Subramani, Executive Director (Bangladesh, Bhutan, India, Nepal), The World Bank visited field level activities of PKSF on July 02, 2018. 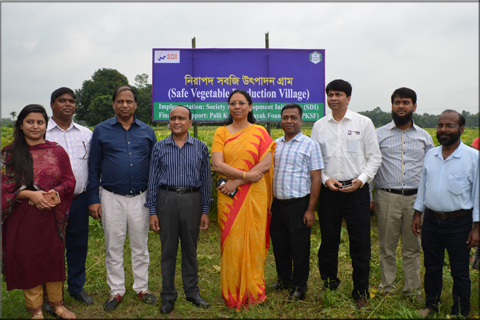 Ms. Aparna Subramani along with the officials of PKSF and Economic Relations Division (ERD), visited Brass product cluster, Safe Vegetable production, Vermi compost production and OBA Sanitation Project of ‘Society for Development Initiatives (SDI)’, a Partner Organization of PKSF, at Dhamrai upazila, Dhaka. After visiting the field level activities, Ms. Aparna Subramani met eminent economist Dr. Qazi Kholiquzzaman Ahmad, Chairman, PKSF, Mr. Md. Abdul Karim, Managing Director (Ex Principal Secretary) and Mr. Md. Fazlul Kader, Deputy Managing Director (Programme) of PKSF in its office. 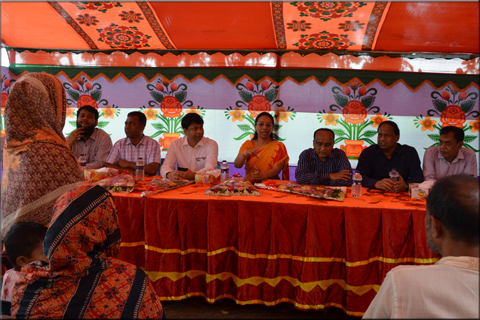 Other officials of PKSF and ERD were also present there. 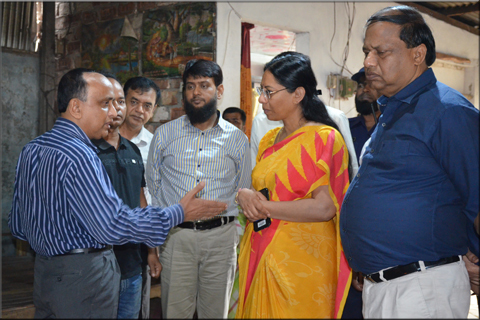 During the meeting, Ms. Aparna Subramani praised the human centric activities of PKSF.